Hey everyone! My long-awaited Star Wars makeup is finally here and I am so pumped! I know what you’re thinking, “Kate this is such a gimmick”. I totally agree but I’m buying into it because I love Star Wars so much! Now it’s time to decide if the makeup itself is worth the hype. Read on for my review! I only ordered a lipstick and mascara because the nail polish was sold out, but I wanted to get as much as I could! 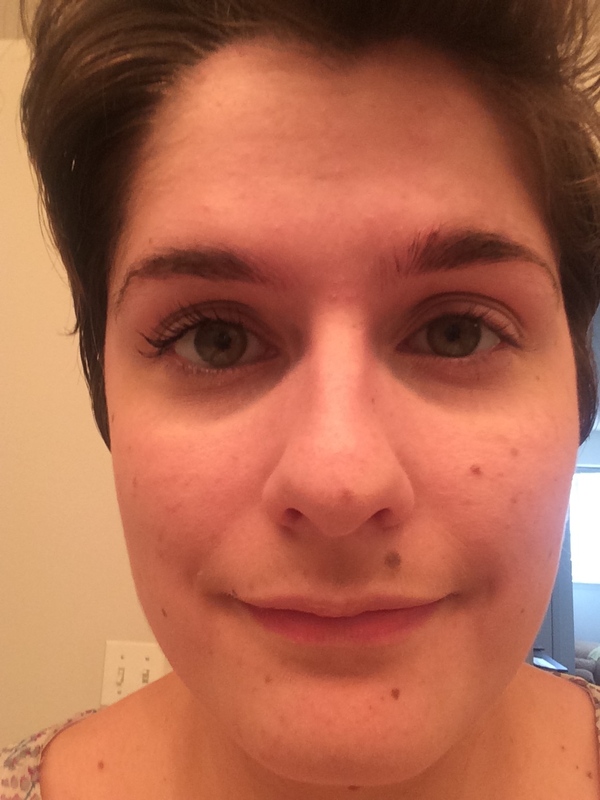 My mascara was light side (because that side has the best quotes!) and it said “You’re My Only Hope”. That’s one of my favorites! My lipstick is the dark red shade. The mascara is supposed to be volumizing. It does the job, but it might have a bit of a learning curve. The wand is kind of strange looking and I had some trouble with it. It is also easy to make a mess on your eyelids. The effect was nice however, so I would recommend this mascara for the Star Wars quotes, but not for the formula and wand alone. See the effect on one of my eyes below! Next up is the lipstick. I wouldn’t call these colors super “wearable” from the look of the packaging. They are very metallic and full of strange color choices. I picked the red because it looked like something I could pull off and it was from the Dark Side line. I found the lipstick surprisingly beautiful and subtle. I could wear this during the day for sure. The metallic effect comes off as unique and the red looks like a dark red mixed with berry. The color payoff rules too! I would recommend this lipstick regardless of the Star Wars packaging. If all of the collection lipsticks are this good, they could be very useful for cosplayers and costume makeup artists! Check out my full face with both lipstick and mascara below! All and all I would recommend this collection from what I’ve seen. The makeup itself is more than just a gimmick and that is how all collections should be. If you want to check out these products you can get them now on covergirl.com! 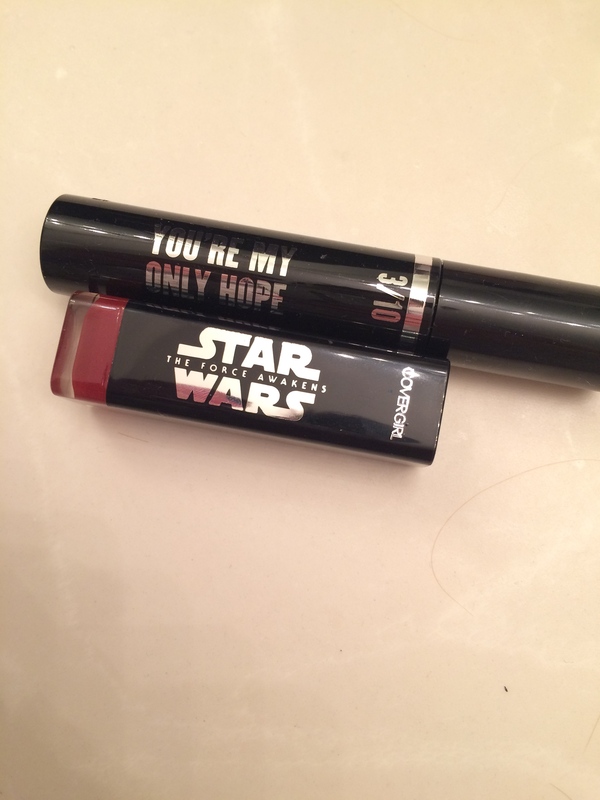 This entry was posted in Review and tagged covergirl, covergirl star wars collection, star wars makeup, star wars makeup collection. Bookmark the permalink. Thank you so much! I agree, they would be so cool for Halloween!